The Department (formerly the Laboratory) of Siberian Indigenous Languages was founded by Prof. A.P Dulson over 50 years ago, and currently boasts extended language archives, and exciting local and cooperative projects sponsored by domestic and international foundations, such as: Ministry of Education of the Russian Federation, Ministry of Science, Russian Foundation for Basic Research, Russian Humanitarian Scientific Fund, Open Society Institute and Soros Foundation Network, Fulbright Foundation, Humboldt Foundation and others. The Department makes a strong emphasis on the study of languages and cultures of indigenous peoples of Siberia. The Department first received official organizational status of The Laboratory within Tomsk State Pedagogical University in 1991 on the basis of professor A.Dulson`s project at Tomsk State Pedagogical Institute. In 1947 A. Dulson worked out a special program for investigating languages of indigenous peoples. The collection of such materials was aimed at compiling dictionaries of these languages and further comparison of the Siberian languages, their history, culture, ethnography and archeology. A.P.Dulson and the research staff of Tomsk State University and Tomsk State Pedagogical Institute collected historical, ethnographic, archeological and linguistic data in course of multiple field projects on the territory of Tomsk region. A.P. Dulson and his successors have undertaken more 35 interdisciplinary expeditions to the North of the Tomsk and Krasnojarsk regions to gather linguistic and ethnographic data on Khanty, Chulym-Turkic, Nganasan, Enets, Dolgan, Selkup, Ket and Yugh. Research and Education Department вЂ“ A.P.DulsonвЂ™s ethnolinguistics school documenting, studying and promoting the moribund languages and cultures of minority ethnic groups of western Siberia. 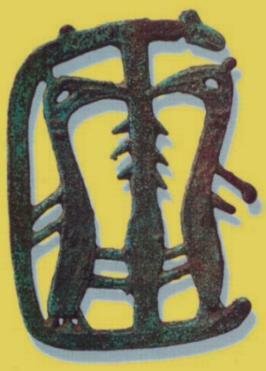 The Department's research profile is centered around descriptive and theoretical ethnolinguistic and ethnographic research of endangered languages of aboriginal peoples of Siberia (Selkup, Ket, Khanty, Chulym (Turkic), Nganasan, Dolgan) and of Germanic languages (English, German): historical, typological, anthropological, areal and sociolinguistic perspectives. Andrey Yu. Filchenko, PhD Linguistics, Kandidat Nauk, Associate Professor. Aleksandra A. Kim, Doctor of Philology, Professor. Julia Kurganskaya, Department's Library Consultant. Elena A. Krjukova, Kandidat Nauk, Associate Professor. Olga S. Potanina, Kandidat Nauk, Associate Professor. Valeria M. Lemskaya, Kandidat Nauk, Associate Professor. Valentina V. Bykonja, Doctor of Philology, Professor. Elizaveta G.Kotorova, Doctor of Philology, Professor. Vladimir A. Plungian, Doctor of Philology, Professor. The archival funds of endangered languages of aboriginal Siberia is regularly updated with the results of expeditionary ethnolinguistic projects. At least 4 field expeditions sponsored by TGPU, national and international agencies are administered annually. At present linguistic and ethnocultural documentation is performed using the modern methodological and technological facilities and in accordance with the international methodological and technological conventions. The aim is to design and implement an infrastructure for effective storage and access to the ethnographical and linguistic data; generate, test and apply high-efficiency methods of linguistic data archival to ensure the productive environment for the research and effective training/education. The collection, processing and archiving of the new data is currently performed with the use of international best practices, such as those recommended by DoBeS, ELAR, SIL. This allows integrate the data on endangered languages of Siberia into the unified global academic discourse applying the computer technology in linguistics. The activities also include design and publication of academic and methodical materials for ethnic educational institutions and projects to maintain and promote linguistic and cultural diversity of Siberia. The Department plays an active role in the organization of the academic exchange programs for students, post-graduates and young faculty, both as a host and donor side. For the last 5 years more than 10 members of the center and 3 foreign citizens participated in various exchange programs. The center is an access point to the unique library collections with more than 8,500 titles, which are used by students, aspirants and scientists as well as by anyone affiliated with TSPU, Tomsk universities and guests from other regions of Siberia, the Russian Federation and abroad. The Department has the officially certified graduate degree programs 10.02.02 вЂњThe Languages of the Peoples of Russian Federation: Nganasan, Selkup, Tatar, Ket, KhantyвЂќ, and 10.02.20 вЂњComparative-historical, typological and contrastive linguisticsвЂќ. There are at least 10 graduate students pursuing their degree projects at the Department annually. The Department is welcoming anyone interested in the languages and cultures of the aboriginal population of Siberia. In March 2006 the staff of the center and the faculty of the Department of Siberian Indigenous Languages designed and administered presentations on the language and culture of indigenous nations of Tomsk region (Khanty, Ket, Selkup) for the students of Tomsk Academic lyceum. The Department holds regular monthly graduate colloquiums and seminars, aimed at reporting on the progress of on-going projects and dissertation research. 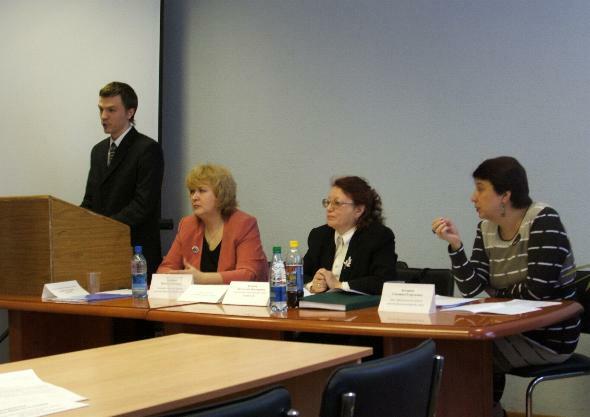 The Department's open seminars provide the floor for the guest speakers covering a wide range of issues in theoretical and applied linguistics, inviting the leading Russian and world experts, professor V.А.Plungjan (Moscow), professor А.P.Volodin (St. Petersburg), professor T.Payne (USA), professor E.Vajda (USA). To extend the contact network and to intensify the academic and information exchange the Department established in the early 1960вЂ™s the bi-annual international academic conference вЂњDulson ReadingsвЂќ. The summer of 2008 will see the 25th congress. Scientific and research center is the partner in research, scientific and educational projects with a number of national and foreign organizations: Regional and All-Russian associations of native minorities of the North, Siberia and the Far East; Rice University (Houston, USA), Sheffield University (Great Britain), Edinburgh University (Great Britain), London University-college (Great Britain), Yale University (USA), Swarthmore College (USA), West-Washington University (USA), Max Planck Institute in Leipzig (Germany), Helsinki University (Finland), University of Zurich (Switzerland), University of Hamburg (Germany) etc. At present the Department holds a unique archive of ethnolinguistic expedition materials вЂ“ more than 200 volumes of field notes on various languages of Siberian, including: Ket (82), Selkup (76), Nganasan (11), Dolgan (8), Enets (6), Khanty (6), Chulym-Turkic (4); each volume representing a bound 500-800 page manuscript. A part of the field notes has an audio-analogue. This material represents the legacy of several generations of dedicated scholars. The archive materials also include a card index of Western Siberia toponyms having 342 000 cards, more than 20 toponymic cards of Western Siberia, Selkup and Ket lexical index (more than 330 000 cards). The archive also holds over 20 CD-ROMs containing audio recordings of the texts in Ket and Yugh languages (made in 1950-60вЂ™s) and digitized from the analogue tapes, as well as some video data of Ket, Yugh, Khanty, Chulym-Turkic speakers on digital media that has been recorded over the last 5 years.